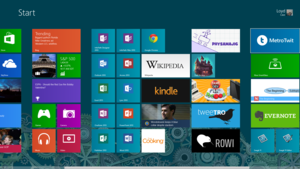 Does Windows 8's three-month report card read pass or fail? You don't expect to hear shocking news coming out of the annual Goldman Sachs Technology and Internet Conference. Sure, the biggest names in technology put in regular appearances at the conference—the CEOs of Apple and Yahoo among them, this year—but no one ever says anything close to controversial. You don't want to rile the investors, after all. Microsoft CFO Peter Klein didn't get the memo. Amid talk about the company's plans to transition Windows' desktop success to tablets and smartphones, he was asked what the company's "Plan B" is if the gambit failed. It's a perfectly reasonable query when you consider the difficulties Microsoft has encountered with both Windows 8 and the mobile arena thus far. Klein's response gave me pause. "It's less 'Plan B' than how you execute on the current plan," Reuters reports him as saying. "We aim to evolve this generation of Windows to make sure we have the right set of experiences at the right price points for all customers." Wait, what? No Plan B? I'm a reporter, not a corporate executive, but "no Plan B" doesn't exactly seem like a sound business strategy to me. So I decided to check in with a few experts for a reality check. Their replies were illuminating in more ways than one. Calling shenanigans on "no Plan B"
After Windows Mobile and Windows Phone 7, Windows Phone 8 is already a semi-Plan B (or C?) for Microsoft. "They undoubtedly have a Plan B," says Patrick Moorhead, the principal analyst at Moor Insights and Strategy. Prior to his current role, Moorhead spent more than two decades in various strategy and product management roles within the industry, including an 11 year stint as the VP of Strategy at AMD. "All large companies do, or their strategy team should be shot. It's typically around acquisitions and pivots… basically, saying 'OK, I missed out on this, but what is the next big wave that I can get ahead of and own?'" Rita McGrath, professor of business strategy at Columbia Business School, agrees that Microsoft has a Plan B pivot or two hidden up its sleeve—though the company may not realize it. "Even if Microsoft doesn't consciously know there's a Plan B, they're such a resource rich and diverse company—and decision-making is pushed down to such a low level there—that if things really go wrong for them, and they go rooting around in the closet, they're bound to find a Plan B, something waiting in the wings," she says. "My guess is that there's stuff going on in the company that would be a de facto Plan B, even if it's not part of the strategy plan." Wharton School Assistant Professor Andrea Matwyshyn also points to Microsoft's size and diversity as a default second option. She calls the 'No Plan B' talk "corporatespeak" (a term also used by Moorhead), though she says the intent behind Klein's comments is honest. "If what's meant by 'There's no Plan B'—meaning, are you going to scrap this and adopt a completely new model and adopt something else in this section of your enterprise?—then, no, I don't think they're going to. And I don't think the [current Windows] model is wrong," she says. The Surface Pro tablet is the paragon of Microsoft's device-spanning focus. Matwyshyn's comments get to the heart of the matter. As Microsoft has said repeatedly, it's "all-in" on Windows 8 and the principles behind it. While desktop veterans may scream at the interface changes found in Windows 8, the ability to create a seamless user experience across all form factors is somewhat of a Holy Grail in modern-day computing. Like Sir Galahad, Microsoft might just be able to obtain its Holy Grail, especially if the rumors about a platform-unifying "Windows Blue" update bear fruit. In fact, Microsoft is betting the entire Windows farm that it can. "I think the model makes sense," Matwyshyn says. "To create a contiguous user experience across all devices—that's the future. The user on the go wants to grab email on whatever device is convenient, or log in to various apps regardless of the physical situation." Microsoft's vision is grand and forward-looking, but shoehorning a mobile-friendly interface onto desktop setups built around keyboards and mice is bound to have some growing pains (as commenters will indubitably explain at the bottom of this very article before long). The somewhat jarring transition may or may not pay off in the end—but let's hope it does, especially if there's no Plan B. Still, it certainly leaves Microsoft vulnerable in the short term. One UI to rule them all: High risk, potentially high reward. "Here's Microsoft's trouble," she continues. "When you start introducing things where a customer is going to say 'Well, I'm still going to have a heavy-duty learning curve whether or not I stick with Microsoft,' you've just nullified one of your major competitive advantages." Along those lines, Microsoft's cross-platform vision has hit some major bumps early on. Windows Phone 8 still holds less market share than BlackBerry, an operating system that many analysts have on a death watch. Comments from analysts, retailers, and manufacturers alike suggest that Windows 8 PCs aren't selling very well, either, and the NPD research group said that Windows tablets accounted for less than 1 percent of all Windows 8 device sales after their first month on the market. Several manufacturers have already put plans for Windows RT tablets on hold. The 'No Plan B' declaration was almost certainly targeted at Microsoft's partners, to allay fears concerning the sea changes inherent in the new all-encompassing Windows vision. 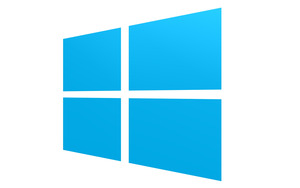 "The primary reason Klein would say that is to provide confidence to everybody involved in Windows 8 and Windows Phone 8 that they will keep their commitment to the platforms," says Moorhead. In essence: The road may be bumpy, but Microsoft won't pull the rug out from underneath the feet of its manufacturing partners. It remains to be seen whether the great cross-platform Windows experiment pays off more for Microsoft, or for Apple and Android. We won't know where the chips will fall for a long time. We do know, however, that Qualcomm is "near-term cautious" yet "long-term bullish" about Windows 8 and Windows RT, echoing the Microsoft line. "Windows 8 represents really a generational shift of hardware—a generational shift of the operating system and apps, all together, all at once," Windows honcho Tami Reller said at the Credit Suisse Technology Conference back in November. "It was built for the future, not just any one single selling season." That being said, if Microsoft's new-look Windows stumbles down the stretch and the company truly doesn't have a Plan B in place, well, let's just say history hasn't been kind to similar high-stakes gambles. "Remember Palm?" Columbia's McGrath asked me with a laugh. "They went for a 'No Plan B,' and maybe it really would have been better to have one."